Lord have mercy does this man have it going on! 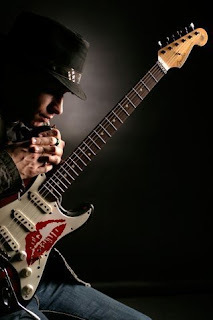 Michael Grimm is just bursting with endless energy and down to the gut level soul on his new release titled Grimm. One of the best tracks is "Black and White." The track most certainly will turn some heads and the accompanying video is a great setting to all the words and music. Michael is a star on the rise and with a solid album like Grimm and tracks like "Black and White" I am certain he will be receiving plenty of attention. Most recently, Michael spent a good portion of the year recording a brand new album entitled “Grimm” that is a collection of brand new original songs written and composed by Michael himself. Production was held at Studio 824 in Las Vegas with the assistance of long time friend and fellow musician Jamie Borden. “Grimm” was released June 15, 2015 during Michael’s headlining summer, limited engagement, residency at Hard Rock Las Vegas. After which Michael will hit the road for both National and International Tours with the album, which is being played on the radio throughout the country! Men With Ven are no strangers to controversy. After crashing the ‘SPY’ premiere in order to serenade Jason Statham with their beautiful ode of the same name, Men With Ven have returned with an in depth medical tutorial detailing the precise course of action that should be undertaken if one has a suspicion relating to prostate cancer. “Check Your Prostate” was conceived at The Spotted Dog in Barking. Under the roof of this fine establishment Men With Ven decided they needed to raise awareness for prostate cancer and felt that the best way to spread the message was through the medium of song. This video, full to the brim of in-depth techniques to help check and prevent prostate cancer is carried along by a catchy riff and tight harmonies. All though unseemly at times the video is quite comic and light-hearted. The band was spurned to write this song after their friend was tragically killed by the disease. Their mentality was that if just one life was saved by their video they would count it as a success. Men With Ven are serving a honourable cause whilst appearing light hearted and humorous at the same time. A rare talent and one the band seem to excel at. NYC - One of the hottest releases of 2015 is undoubtedly the new album by dual female fronted alternative metal power trio TANG featuring a guest appearance by legendary Twisted Sister frontman Dee Snider! 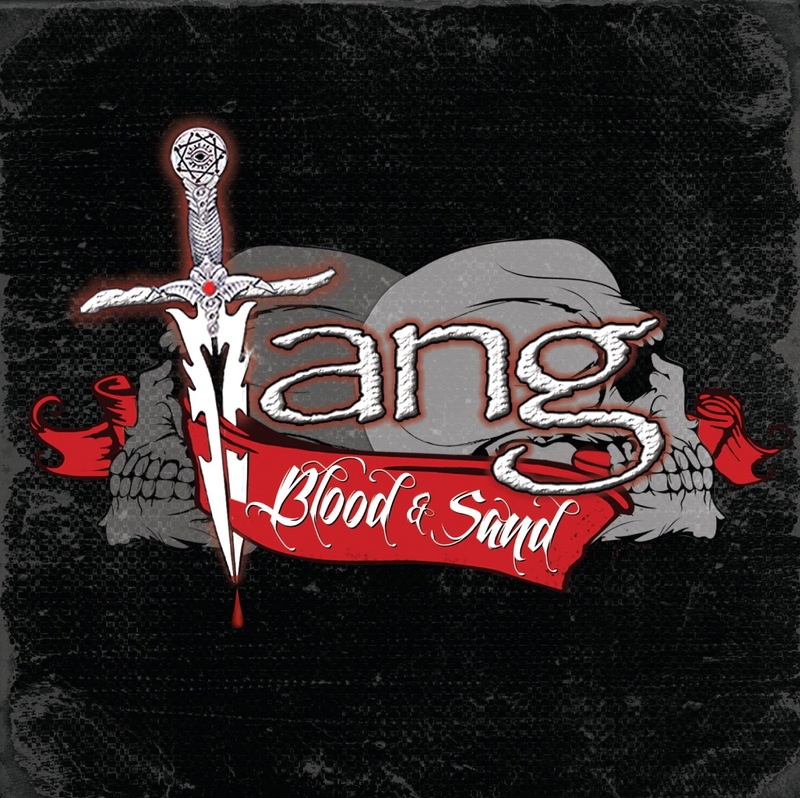 Titled “Blood & Sand”, TANG's new CD features a duet with Dee Snider on the track “Reign of Blood”! Denny played guitar, toured & recorded in Dee Snider's “Van Helsing’s Curse”, the gothic rock orchestra. Bonnie & Denny have currently played, toured & recorded, with Corky Laing from Mountain in his new band “Corky Laing & The Memory Thieves”. They are also working with Corky in Finland, writing, recording & performing on a rock opera called “Playing God” which was presented in Helsinki in 2014. The opera was presented in the US in April 2015 at Yale University & Hunter College. My philosophy is "Let the music move you." If you have that kind of mindset just before you hit play, the music can do so many things for you. 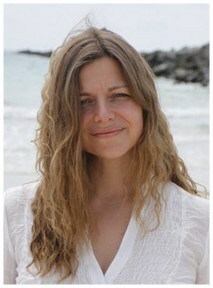 Music is healing and spiritual and Heidi Breyer makes music that comes from her soul. Heidi Comments: Our lives acquire the deepest meaning when we have love in our hearts and when we discover that we are loved by someone else. That love becomes our "Touchstone." 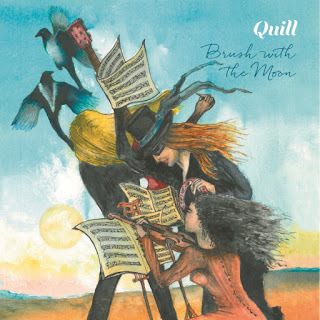 “As children we perceive music very physically and allow it to carry us away to a different place…these are our first experiential, unsung emotions”. 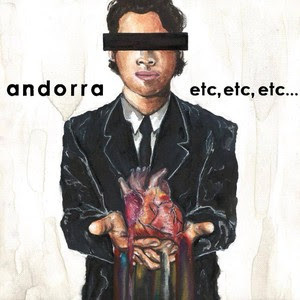 Andorra is an alternative rock band from Philadelphia PA. The band consists of 4 well dressed, not-so-clean shaven dudes that play a 90s style of rock with a free flowing sound that can take shape into any direction. Still Got Me is a fun, upbeat song straight off their recently released album Etc, Etc, Etc. Nostalgic of a young fun weekend night hanging out with friends and living an 'ideal' life filled with excitement and memories. The song has a bit of an older school (80's?) feel. I like the instruments and vocals from 00-48 and the harmony on "you still got me and the rest of your life." Cherry White, a London based 4-piece seem to have mastered that age old combination of hard hitting songs and sublime technical musicality. Drawing from classic rock influences such as Fleetwood Mac and The Raconteur’s, Cherry White have demonstrated they intend to rise to the lofty heights of their genre defining heroes. “Staring at the Sun” is a testament to their musical prowess and draws on a breadth of influences that make it a must listen. “Drifter” the lead single of the EP is a brooding swamp rock anthem showcasing the feral nature of Donata’s vocals and Russell’s ferocious guitar licks. Donata’s vocal tone is somewhere between Stevie Nicks and Siouxsie Sioux giving it an anthemic quality reminiscent of 70s stadium rock. “Do It Better” helps to cement Cherry White’s position as a band of the future reliant on the sounds of the past. An air of post punk by way of Tango in the Night creates a interesting mix of musicality and fierce lyricism. Cherry White is able to also convey their musical message through a softer, acoustic approach. “Angel” is one such song that evokes emotion through the thoughtful lyrics while still standing up musically. The true star of the song being Ralph on bass, showcasing a jazz element to his playing that lifts the song to another plain. The next track, “7 Days” could easily be a prime time Van Halen track, it has just the right amount of 80s shredding to make it truly enjoyable. In contrast “Blue Eyes” is supple piece with a highly effective build up, ending on a crescendo worthy of praise. On the theme of praise, “Staring At The Sun” the final track on the EP is a masterful demonstration of eloquent song writing and rhythmic technicality that further reinforces the transcendent quality of the band. Each song adheres to the preconceived notion of classic blues rock but adds subtle twists to craft a truly unique sound. With anthems more suitable for stadiums than dimly lit clubs, Cherry White is on course to becoming a classic band in their own right . Fade Away – With an array of easy on the ear sounds varying from the choir in the background of this song. The fantastic guitar or the pleasant-sounding vocals! Is a really slow paced but smooth track! Electric Lady - Is definitely more upbeat then the previous song and the vocals are better built as well. A really energetic and heavy guitar riff is included in this track! The drums are also superb in this track, setting the pace of this track along with the drums! Overall Vida’s double single is a really fantastic double single showing two sides of Vida! I personally prefer the second side of Vida (Electric Lady) both equally have a lot of potential to hit the charts! It has been 7 years since Gordon Weiss released an album. It's About Time says it all! 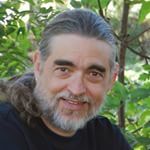 Once again musician and studio wizard Jeff Cannata is behind the mixing board for the recording. "I'm Your Fan" is one of the most colorful and expressive tracks on the album. There is truth and humor surrounding the story and its accompanied by some great pop rock music. As I recall from my previous experience with Mr. Weiss, he knows how to spin a yarn and add just the right touch from a musical standpoint to come up with an entertaining mixture for your senses. "I'm Your Fan" hits the bulls-eye of your heart and soul. Give it a listen and I guarantee a smile will come to your face. Born in Brooklyn, New York, Gordon Weiss made his debut musical performance miming on the recorder along with the other third graders, which made him vow to learn to play an instrument for real. His first true foray into the world of music took the form of studying classical trumpet for eight years, culminating in two performances at Carnegie Hall with the New York City All-City Band. It was deja-vu when he stood up for a trumpet fanfare to find that his mouthpiece had fallen out backstage. By then Gordon had been bitten by the Beatle bug and his love for clever songwriting with strong melodic hooks took over full force. But it was the power chords of Pete Townshend and The Who that made him give up the trumpet and pick up an old acoustic guitar, which he promptly stripped of two strings so he could play along with all of John Entwistle’s bass lines. Gordon soon acquired a proper bass and played in bands in high school and college, before adding a Stratocaster to his collection, which prompted his first attempts at singing and songwriting. Realizing that playing in bands with names like “Dead Grotty” would unlikely lead to a record deal, Gordon went to medical school and eventually became a child psychiatrist. 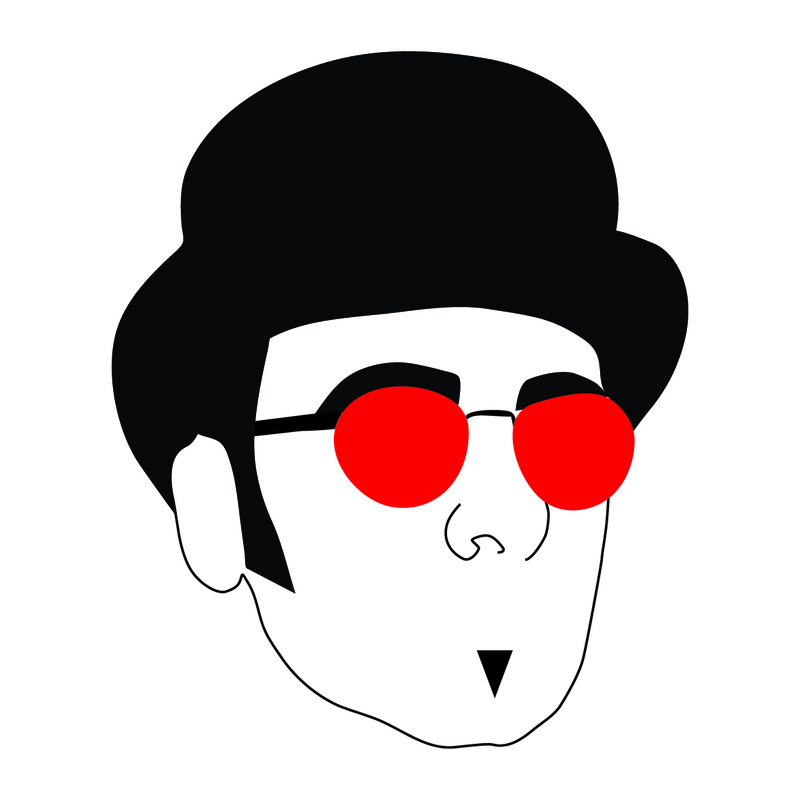 He relocated to Connecticut and continued to feed his cravings for classic rock and pop music, with healthy doses of Elvis Costello, Squeeze, XTC, Crowded House, Jellyfish, Honeydogs, and Candy Butchers, while amassing a catalog of his own songs that he played at occasional impromptu gigs, open mikes, or family gatherings. A thoughtful gift of drum lessons to help him learn to really bang out some of those Neil Peart licks he had always air drummed along to, led to forming a musical friendship with great session drummer Greg Trabandt of RVP Studios. After hearing of Gordon’s unfulfilled dream to make a record of his original music, Greg not only introduced Gordon to veteran producer Jeff Cannata, but agreed to play drums on all the tracks of Sum Of Its Parts. Featuring brilliant contributions from ace keyboard player Jeff Batter and soaring vocal harmonies from Pete Hodson and Bill Welch of Z-Plan, Gordon wanted to keep this first solo album personal by playing the rest of the instruments himself. The album was released on Gornpop Records, a nickname for Gordon referencing an affection for a large, albiet very slow, lizard from Star Trek. A world tour did not follow. 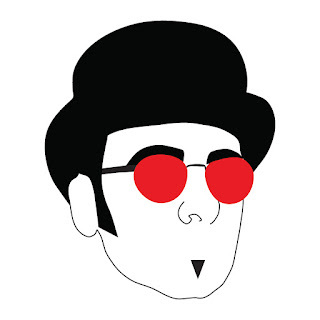 But thanks to The Weirdo Mike Viola Superfan StageIt Group, a wonderfully supportive community of fans, many of whom are fellow musicians, Gordon kept writing and playing online live performances, including a performance of side 2 of Sgt. Peppers Lonely Hearts Club Band in its entirety with support from his daughters and nephews. After a seven year hiatus, Gornpop Records is pleased to announce the release of It’s About Time featuring nine new original songs. 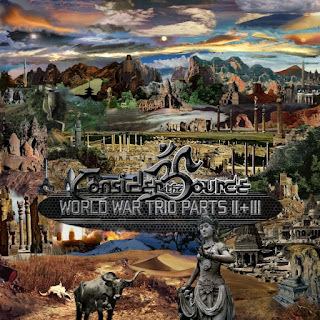 NYC - Much to the excitement of Prog fans worldwide, NYC trio Consider the Source is releasing the second installment of their epic, three part grand vision, World War Trio. Following the dense, nearly 24 minute, five part composition that comprised World War Trio (Part I), this double album begins with the trio of masterful technicians' progressive rock, metal and jazz foundation, then draw from Middle Eastern, Indian and Eastern European traditions - balancing shifting moods and tempos, cerebral and emotional jabs and intellectual and primal pursuits - into a dynamic and cinematic audio experience that has been described by one critic as “the soundtrack to an alien invasion”. A relentless touring schedule has won the band a fervent following from California to Israel, with fans ranging from jam-band hippies and jazz cats to metal headbangers and prog aficionados. 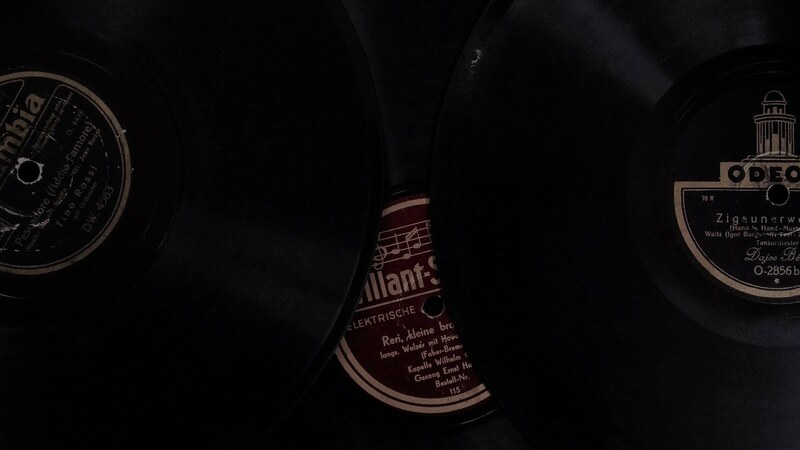 Recorded at Bunker Studio in Brooklyn, funded by a successful Indiegogo campaign, “World War Trio” is Consider The Source's first release in four years and their first recording with drummer/percussionist Jeff Mann, whose recent addition has supercharged the band’s chemistry. 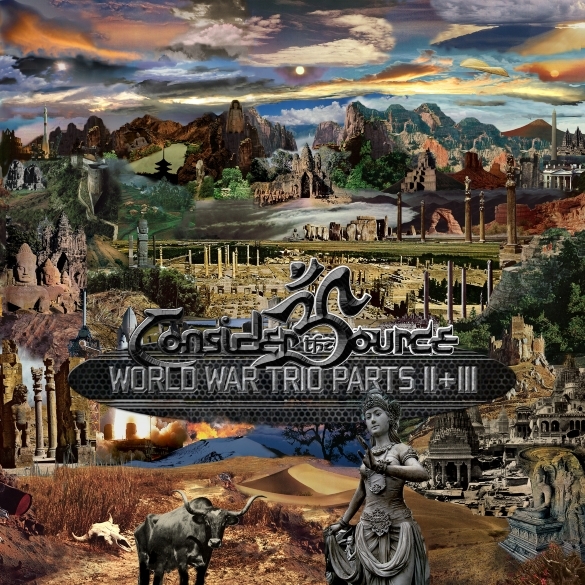 “World War Trio” spans three discs and a universe of sonic territory. Their masterful improvisation, frenetic energy, and unique blend of progressive rock and Middle Eastern music have brought them worldwide acclaim, and a rigorous global tour schedule has forged them into a fearsome live band. Here's what the press have been raving about Consider The Source! “Walking Underwater Pt 2” is the latest full length release by the dark and brooding Johnny Wore Black. JWB has utilised the talents of producer David Bottrill (Stone Sour) and Megadeath bassist David Ellefson in crafting this album and their talents really shine through. The release is an interesting mix of metal and prog intertwined with alternative rock which is testament to the eclectic tastes of its creator. The album comprises of singles “A Cut Above”, “A Gift of Desperation” and “Noise” and 7 brand new tracks. All the tracks are relatively similar in nature with soaring distorted vocals rising above driving guitars and crushing bass lines. The opening track Firefly sets the tone for the rest of the album. The continual pounding of the lower frequencies gives a warm cushion from where to explore. Fallen Angels has an almost metal like quality to it, something that prevails throughout the rest of the album. The standout out song of the release is without a doubt “Comfy Slippers.” Reverb laced vocals and guitars give an almost ethereal quality to the track which leads on to majestic power chords. The faultless combination of thought provoking lyrics and musical hooks make this track in particular, irresistible. The release as a whole is confident and beautifully produced. Sonically, it assaults the senses leaving the listener feeling both drained and reinvigorated at the same time. It is an acquired taste musically but offers all the essentials of great rock music; hard hitting, driving songs with fantastic lyrics. 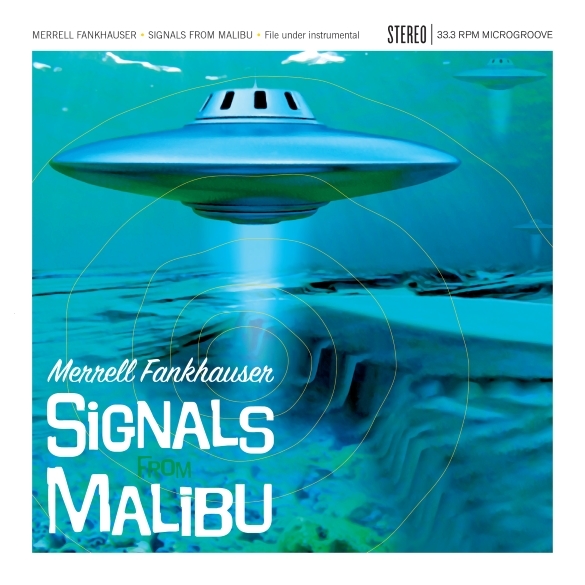 Arroyo Grande, CA - Guitar legend Merrell Fankhauser has released a new Sci-Fi symphonic instrumental surf album “Signals From Malibu” featuring strange radio signals from the underwater anomaly off the Malibu California coast. A few years back UFO buffs began investigating some strange electronic signals that appeared to be emanating from a spot deep beneath the Pacific Ocean off the Malibu coast. They reported bizarre psychic phenomena in conjunction with them, and legendary surf guitarist Merrell Fankhauser was inspired to write music based on, and including them. Merrell Fankhauser is considered one of the main innovators of surf music and psychedelic folk rock, and is widely known as the leader of the instrumental surf group The Impacts who had the international hit “Wipeout”. He has presented a number of television programs over the years including 'California Music', 'Route 66 TV Live', and in 2001 he began hosting a music show called 'Tiki Lounge' that airs on the California Central Coast, Southern California, Hawaii and parts of the East Coast. Merrell's new CD comes hot on the heels of his recently released critically acclaimed biography “Calling From A Star”, also released on Gonzo Multimedia. In Darkness We Trust - the opening song on the album, It has sluggish tempo compared to other of the songs on The Hydra’s Tailor. But this song isn’t in shape for their genre they contain but that’s what exclusively sets up the album! Animal - the subsequently song in the album and is masses more precise to its genre then the earlier song. It truly helps to let the chorus stand out throughout and construct up to it! With a really intense pleasant breakdown towards the end! With a pleasant-sounding chorus but jagged warped vocals. 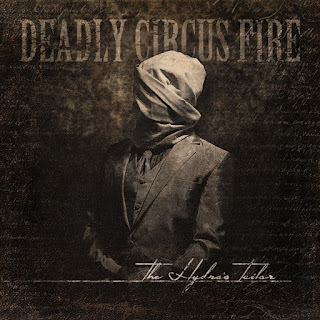 Where It Lies - Has a really fine profound guitar riff sure to get blood circulating! Approximately ¾ the way throughout this song it turns time-consuming downwards to swiftness again with a chorus! Up in anticipation of the chorus at what time it becomes more pleasant! The vocals are sturdy in this song truly changes rhythm between the coarse screams and being easy on the ear! Victim – Is the weighty song in the album! It drops into a breakdown towards the end to depart the track on a thunderous note. The first half is overflowing with profound guitar riffs and brawny vocals up until middle through when it becomes easy on the ear almost nerve-jangling! Devil’s Opera – The riffs are grand in this song! All through the song the vocals are a great deal cleaner contrasted to others on the album in anticipation of about midstream where it starts to turn out to be more profound and up! Rise Again – The drums being if truth be told on form setting tempo! incredibly burly vocals which set off with the guitar riff truly well in this track! The vocals yet again are comparatively cleaner in this track. They are as fine as devil’s opera! House of Plagues –Truly vigorous rhythm and vocals all through this track! This song also has an in fact good build up until the chorus. Immense chorus line in this song, on top the riff is beguiling! Aeden - The guitar riff is exceptional additionally the drums being outstanding for making the pace in this track! The song with no trouble is the most intense and common with breakdowns in the album! The Hydra’s Tailor – With truly hefty vocals and pace switches completed on form this is my most wanted track from the album! The vocals in general express meaning wonderfully! Is the key song commencing the album, the album being the song that the album is named following and you can distinguish precisely why! Turning The Tide – It has a pleasant riff and a large number of high-quality rhythm changes being completed by the guitar and drums! Has a captivating chorus as well as a grand breakdown part the way down. Universe - is moreover the longest track in the album essentially making it an extended departure to the listeners! Is mainly the slowest pace song in the album, being fairly pleasant-sounding! To conclude, Deadly Circus Fire – The Hydra’s Tailor is certainly an album to look out for this June the 16th! An unbelievable album jam-packed with immense guitar riffs, outstanding pleasant-sounding clean choruses and terrific breakdowns! 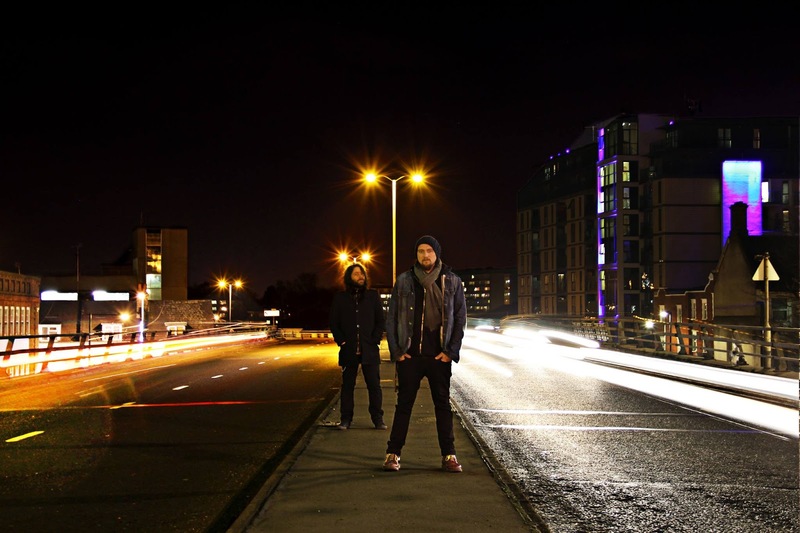 Folk duo from south set to release their latest new single, ‘Lonely Road’, is set for release on June 15th, and you can hear it here. Los Angeles - Tom Caufield is a contemplative guitarist with an uncommonly melodic style, and though his music shares traits with ambient music, one still walks away humming identifiable melodies that float in an effortless dream-stream, built into traditional verse-chorus-bridge structures. 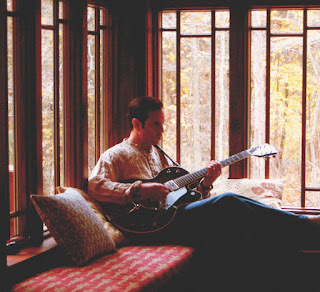 “I grew up on the popular rock, pop, folk and soul of the times,” says Caufield of his musical boyhood, “so even when I make contemplative mood music, I can’t help but infuse it with a strong melodic storyline.” That’s good news for listeners who love relaxing music and memorable hooks. Offering a chill blend of creamy, retro yet modern music that will amplify the sound of your heart and soul, Caufield’s sound is a 21st century take on contemplative instrumental music. Wooden and natural, peaceful and evocative, ancient yet modern (i.e. 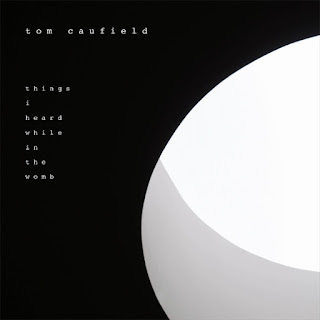 : timeless), accessible, yet hinting at life's complexity, Tom Caufield’s music will transport you to a place you probably don’t visit enough - your deeper self. 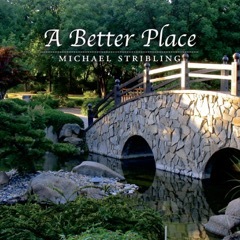 Michael Stribling's new album A Better Place was released this month and the title track says it all. If you are looking for a better place and space than what you are in presently, this music will take you there. 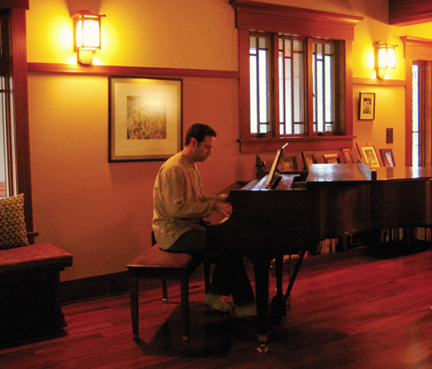 I started piano lessons at age 7, and I also studied violin, clarinet, and guitar for a time. But when the Beatles arrived in America in 1964, I switched to drums and never looked back. I earned a Bachelors in Music (emphasis in percussion performance) in 1974, and then promptly went on the road and played drums for a fella named Johnny Mathis. Before that, though, I was a radio announcer in the early '70s for what would now be referred to as a Classic Rock station (Beatles, Rolling Stones, Led Zeppelin, etc.). Along the way, I did lots of studio work as a performer, composer/arranger, producer, engineer, etc., and I also played lots of musical theater productions. Some of my musical influences (among many, many others) include The Beatles, Jan Hammer, Vangelis, Paul Winter et al., Pat Metheny, Patrick O'Hearn, Steve Roach, J. S. Bach, Igor Stravinsky, Jimi Hendrix, Joni Mitchell, Steely Dan, The Mahavishnu Orchestra, Chick Corea, Peter Gabriel, Frank Zappa (heck, this could get ridiculously long). While there have been many life/spiritual influences, here are the most significant ones over the past couple of years: David R Hawkins, John Diamond, Eckhart Tolle, Lester Levenson, Wayne Dyer, Jack Canfield, Lao-tzu (again, among many others). That brings me up to now. I formed Leela Music (leela means "divine play") to undertake a very simple mission: to help others in their journey toward wholeness through the gift of music, by creating works that inspire and uplift the human spirit.